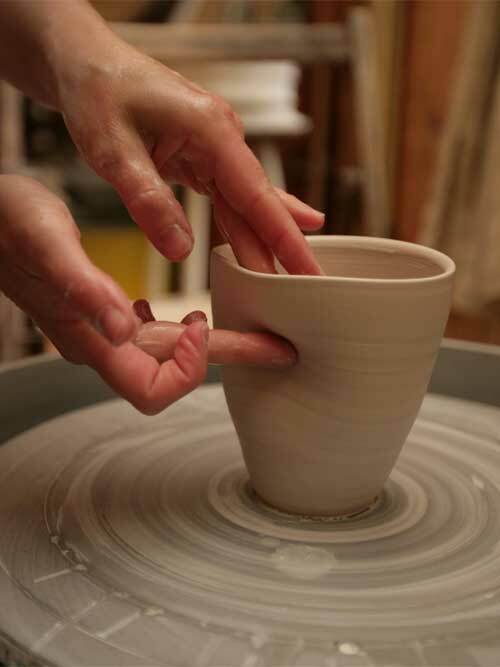 Linda makes beautiful functional pots in porcelain and stoneware, thrown and turned on the wheel. Her classic designs come from her concerns with form and surface texture. 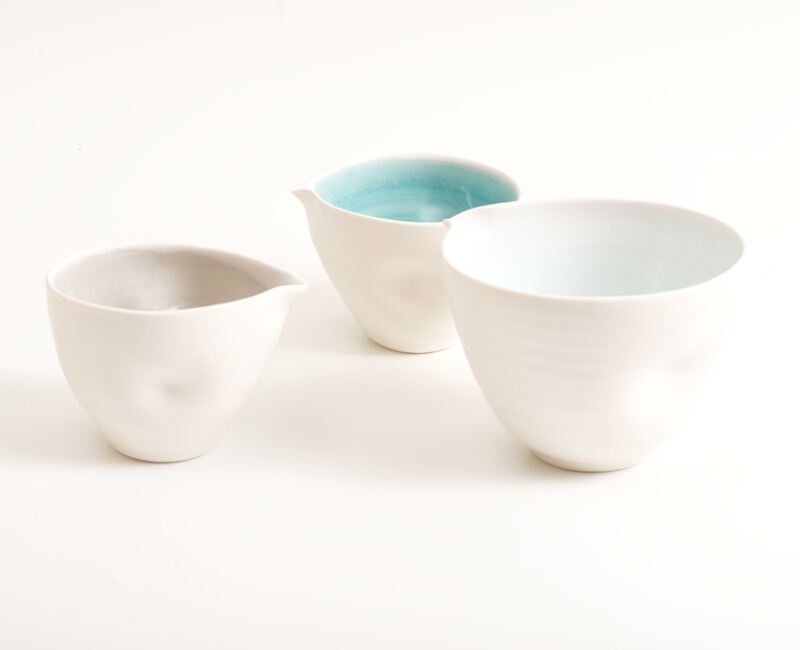 She makes simple shapes – rounded teapots and bowls, cylindrical bottles and mugs. She is also concerned with functionality and detail. All her pots are made to be handled and used. Linda prefers porcelain for its strength, density and purity, although some larger pots are made with white stoneware. In recent years her work has become increasingly popular and has been featured in various magazines and publications. As well as exhibiting in several galleries, she has had collections at Liberty and David Mellor, Chelsea.